Shadows Over Camelot is a wonderful, cooperative board game that really feels like you're juggling the responsibilities of running a kingdom! In Shadows, you are one of the knights of Camelot, and things just started going bad. There's a Black Knight causing trouble, the Saxons and the Picts are each invading, Excalibur is waiting to be claimed, Lancelot lost his armor in the wilds, the Holy Grail remains lost to history, and stories tell of a Dragon passing through the region. Plus, of course, Mordred and Morgan Le Fey are causing trouble and have tempted one of the Knights to secretly join their side. Using a hand of cards, players have to decide which of the quests they choose to try to complete. Each quest takes multiple turns, so decisions can't be made lightly. Success brings white swords back to the Round Table, while failure adds black swords. Once there are twelve swords in total, the Knights win if more of them are white. Of course, the Betraying Knight may have something to say about all that. 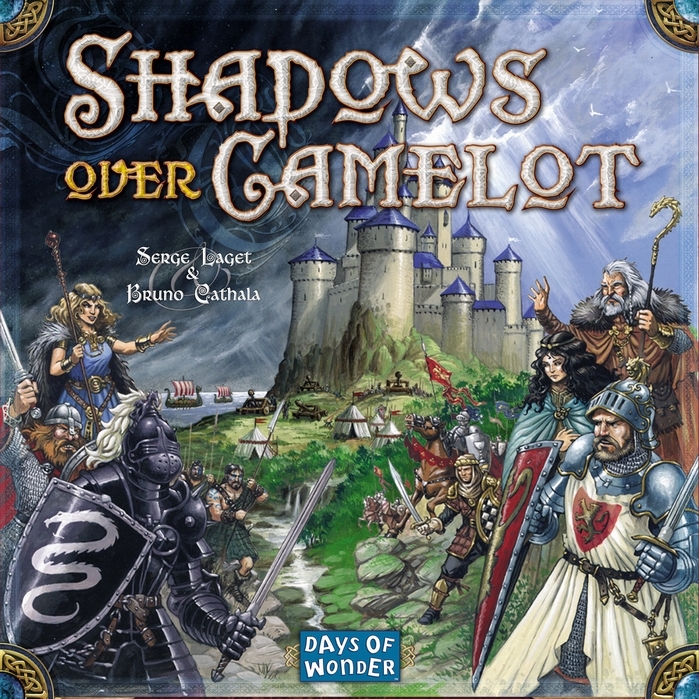 Shadows Over Camelot is a fun and engaging cooperative game, which is far simpler than its peers like Battlestar Galactica and Shadowrift. The betrayer has lots of fun options which make it hard to pin down exactly who is putting Camelot in peril. On the other hand, this is also the kind of game you really want to play with 6 or 7 players. Adding the Merlin's Company expansion will allow you to play up to 8 players. With all the questing going on, the more players, the better.